What is the best way to store firewood? On cold winter evenings there is no better comfort than a warming log fire. Wood burners and indoor stoves have increased in popularity over recent years and it is not hard to see why. Preparation is key to having your firewood ready for burning when the temperature drops. With the right planning it needn’t be an issue. For those new to burners, there are regulations to consider when installing a stove and guidance can be found here https://www.hetas.co.uk/consumer/regulations/, although a reputable installer will deal with those for you. Other considerations for your wood include: building up a store, outdoor housing and stacking, and indoor storage. Whatever the time of year, it’s worth building up a log store ready for when it’s needed. Ideally, you want an easy trip outside each time you restock your indoor supply as firewood logs are heavy. So it can make the haul of logs far simpler if your outdoor wood store has easy access to your door, preferably by keeping it as close as possible to your house. 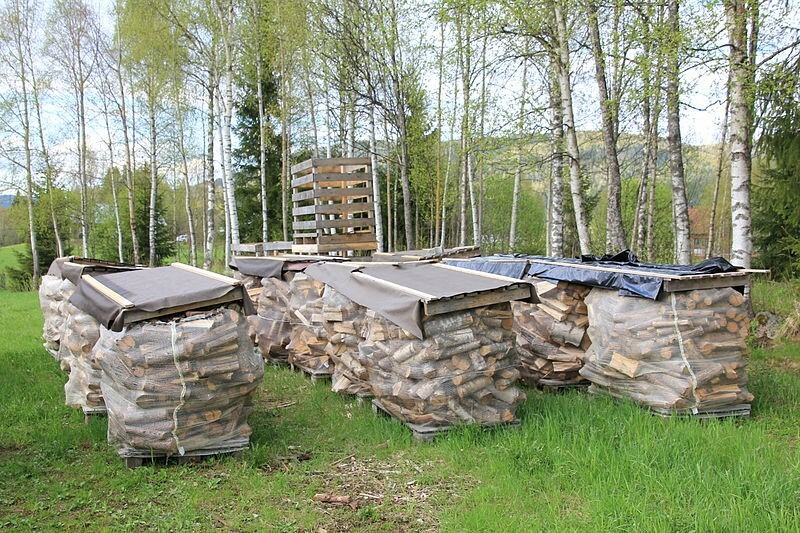 When storing firewood outside, stacking is essential. Even if stored undercover from the elements, any moisture that builds up within piles of wood can lead to rotting and decay – not the best for indoor burners as this will create additional smoke even if it does catch alight! Aside from the risk of rot, stacking piles of wood without adequate ventilation creates a perfect environment for insects, many of which will add to the decay of wood. For transporting firewood indoors, a log carrier or wheelbarrow is advisable – not only to make the load easier to carry, but also to prevent bark and debris leaving a trail along your route. Once indoors the extra wood for future burning can be used as a feature alongside a fireplace or stove surround, adding even more character to the rustic, cosy feel of the burner. A metal log holder such as these https://www.themetaltree.co.uk/ metal log holders is often more practical for both cleaning and fire-resistance. There are many styles of metal log holder to match the size and available space around your burner. With the right storage and transporting, the work needed to restock your firewood supply will be minimal and the act of collecting, storing and chopping firewood becomes an enjoyable task.